It’s the last day of February, and some parts of the U.S. are waking up to a cold winter morning. There’s snow on the ground and a nip in the air; and for many children, those conditions equate to perfect sledding weather. 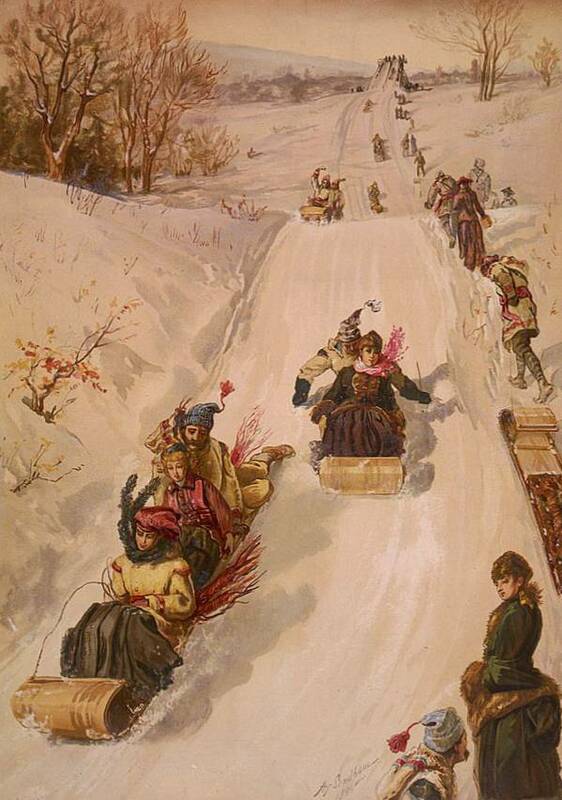 The children in Isabella Alden’s books are fond of sledding, too, especially the boys. 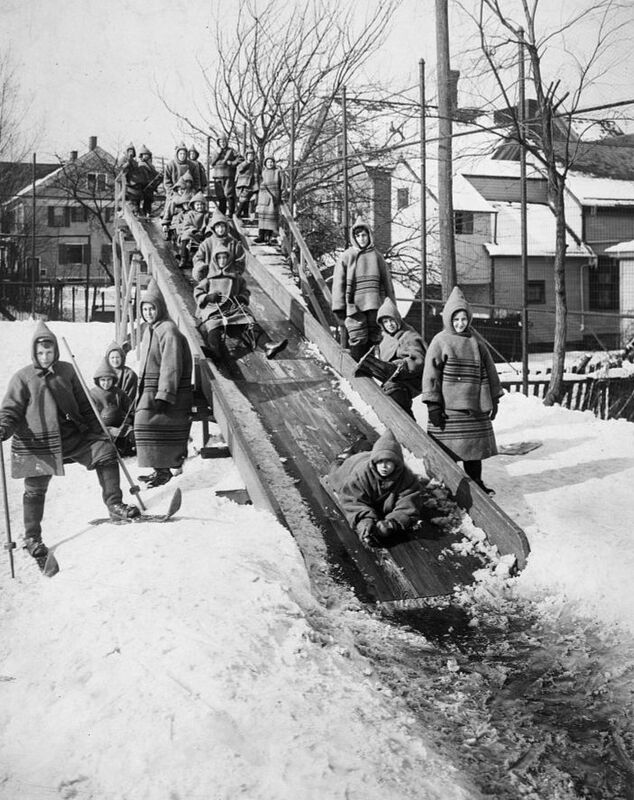 A sledding party in Rochester, New York, 1908. 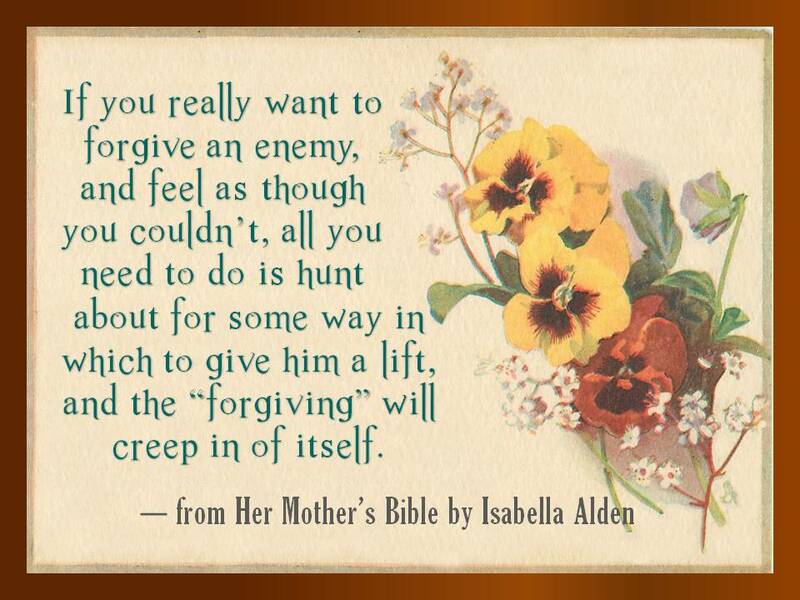 For some of Isabella’s characters, sledding wasn’t just for fun and games. Sidney (in Sidney Martin’s Christmas) uses his sled in a variety of different and practical ways. With his sled, Sidney gives a pleasant ride to a friend. He also hauls heavy items, and transports an injured boy home after he takes a tumble in the snow. Joseph, the young hero of A Dozen of Them, didn’t own a sled of his own, but still found a way to enjoy sledding. 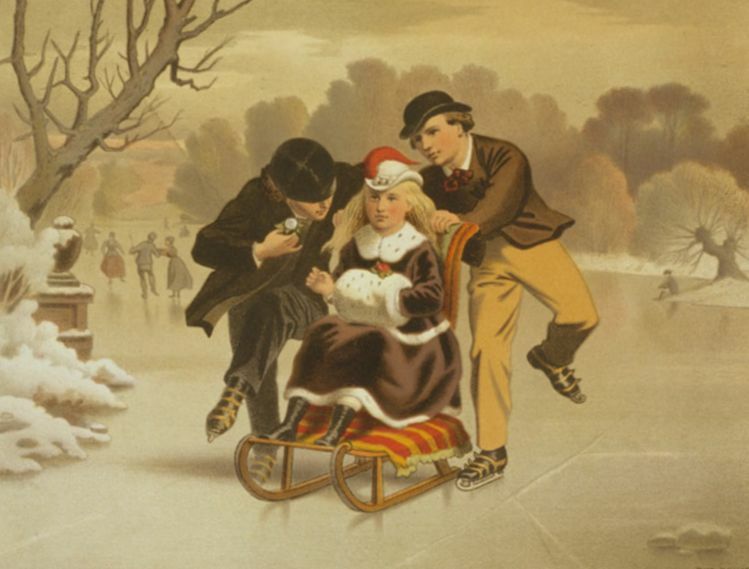 He liked nothing better than to turn pony himself, and give Rettie a ride on her box sled; and so through the day everything was merry and happy. And then all the children talked at once. “Why, you had a hand-sled!” said one. “A perfect beauty!” exclaimed another. Adults also enjoyed sliding through the snow. 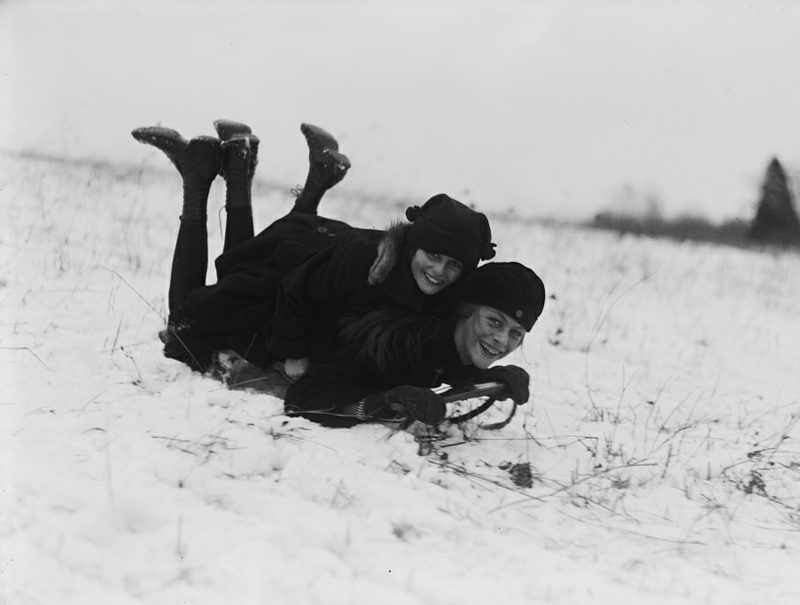 Toboggans, which are longer than child-sized sleds, could carry more than one passenger. 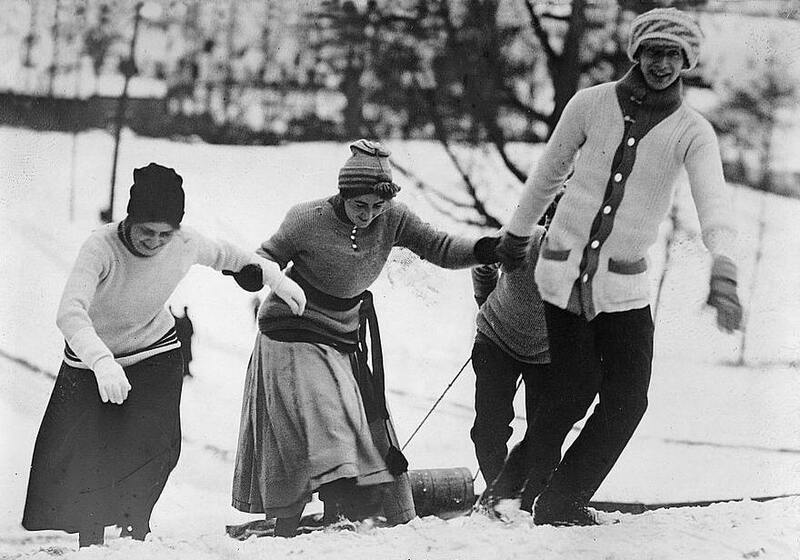 In her books Isabella didn’t mention grown-ups enjoying downhill sledding, but these images show it was a popular winter pastime for people of all ages. 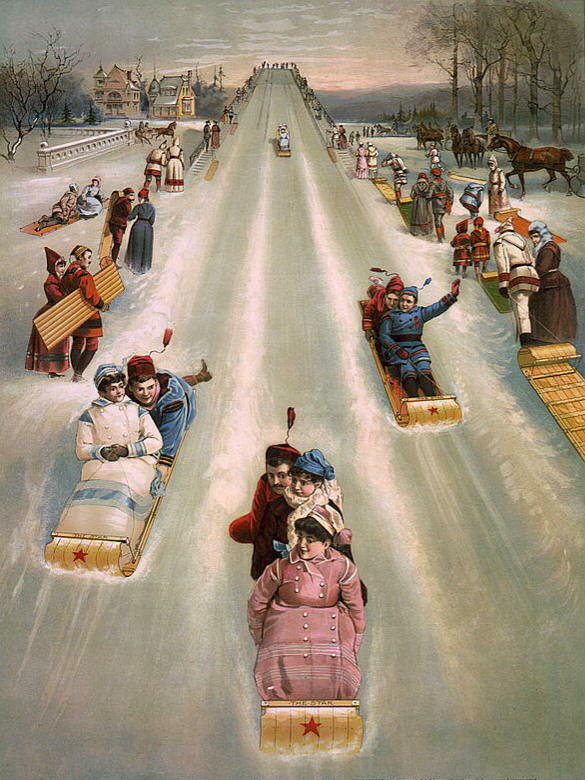 The Toboggan Party by artist Henry Sandham, 1882. 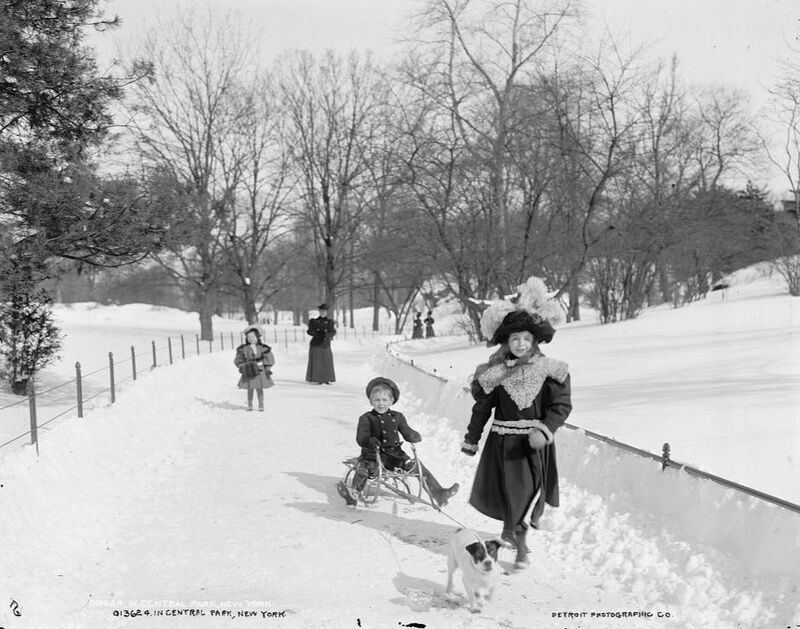 In fact, sledding and tobogganing were so much fun in Isabella’s time, children, especially, didn’t always wait for perfect conditions like fresh snow and gently-sloping hills—they made do with what they had. That’s what these children did in 1921. 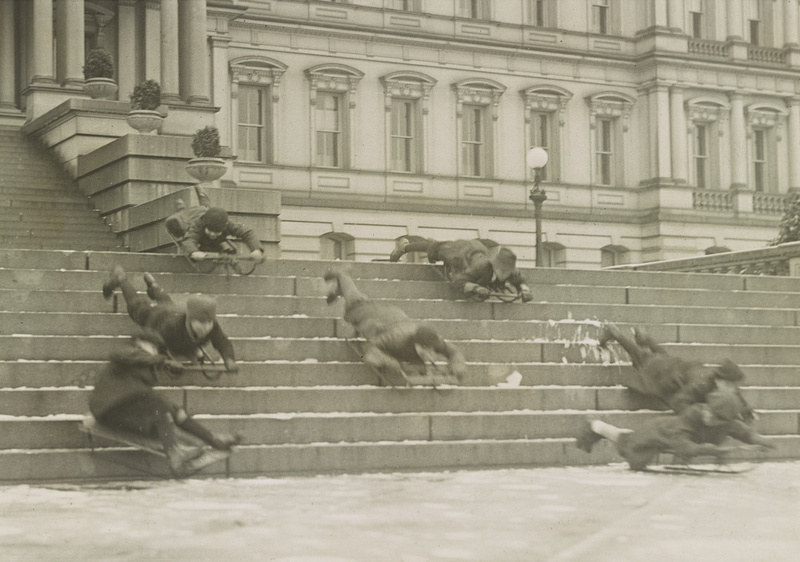 They took advantage of a sleety morning by sledding down the steps of the War and Navy building in Washington D.C.